Chicago Chinatown Chamber of Commerce’s mission is to improve and expand business opportunities and to educate others on the history, culture, and customs of the Chinese American community. Chinatown in Chicago needs a ReFresh. Seriously, it does; and we need to make sure every marketing move is radical yet reasonable. So this website design is the first innovation. The design draws you in by bringing you to Chinatown through your computer screen with engaging pictures and fluid navigation. 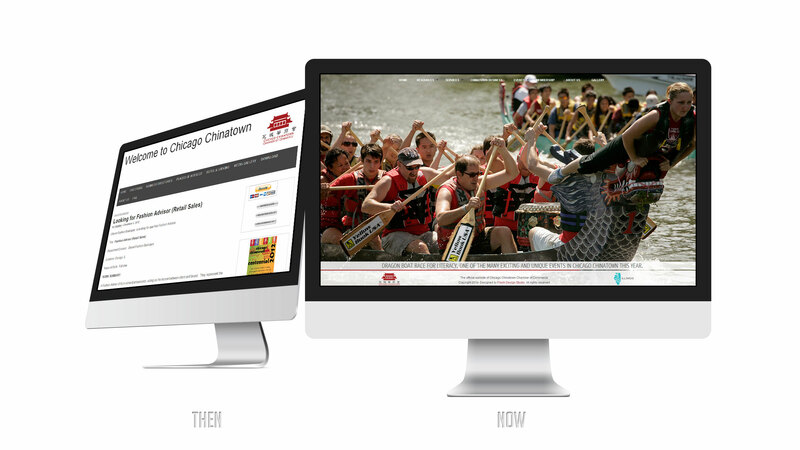 This is a 100% responsive website. There is always something moving, not a single page is static. It is great on mobiles and tablets because there is a custom design for every page to provide the best experience. There is a sign up and payment feature built right into the website. We included a robust WordPress platform to manage and handle all content on the pages.